PITTSBURGH - A Venetia man is suing is former employers over allegations of discrimination. John Guoynes filed a lawsuit July 8 in U.S. District Court for the Western District of Pennsylvania against Consol Energy and CNX Gas Co., citing violations of the Rehab Act, Americans with Disabilities Act, the Age Discrimination in Employment Act, breach of contract and more. According to the filing, the 57-year-old plaintiff, who has diabetes, was working as a subsurface and production engineering manager for the joint companies when he was terminated through a force reduction in April 2015. The filing alleges that the termination was a result of intentional discrimination because of the plaintiff’s age and health condition. The filing also claims that the company breached its contract with the plaintiff for failing to give shares of stock that had been awarded to him during his employment. The plaintiff seeks a judgment in his favor for damages, court costs and attorney’s fees. He is represented by Joseph Chivers of the Employment Rights Group. 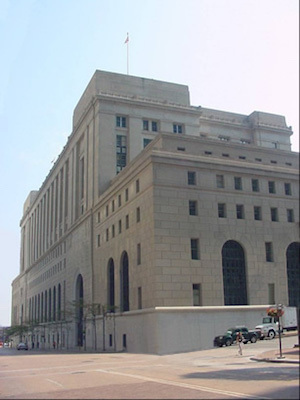 U.S. District Court for the Western District of Pennsylvania 2:15-cv-00881-TFM.